Nevada Death Row Inmate Found Dead In Apparent Suicide Scott Dozier, 48, twice bypassed death by lethal injection against his own wishes. On Saturday afternoon, he was found hanged from an air vent in his cell. Nevada death row inmate Scott Raymond Dozier confers with public defender Lori Teiche in Clark County District Court in Las Vegas in August 2017. A Nevada death-row inmate who repeatedly called for his own execution was found dead in his cell in an apparent suicide, according to the state's Department of Corrections. Scott Dozier twice evaded death by lethal injection against his own wishes. On Saturday afternoon, he was found hanged with a bedsheet from an air vent in his cell at Ely State Prison, Brooke Santina, a spokeswoman for the department, told NPR. "He had not given any indications of being suicidal leading up to his death," Santina said, adding that Dozier was housed alone at the time. Had he verbalized his desire to kill himself, she said, "the state would have no choice but to put him on suicide watch. But he didn't say anything." The Marshall Project reported that as recently as December, the 48-year-old's lawyers filed court documents arguing that Dozier's mental health was deteriorating because of the conditions of his confinement. "In recent months, Dozier had been regularly put on suicide watch and his family said he was deprived of his belongings and outside contact," the criminal justice journal said. Dozier was on death row for 11 years for killing Jeremiah Miller, a methamphetamine drug associate of Dozier's whose body he had decapitated and dismembered in 2002. He was also found guilty of killing Jasen Green, whose remains were found buried in the Arizona desert. He gave up the pursuit of appeals in his case in October 2016, becoming what has been called a "volunteer" for execution, and called on the state to end his life. In a 2018 interview with the Las Vegas Review-Journal, Dozier explained, "Life in prison isn't a life. ... This isn't living, man. It's just surviving." "If people say they're going to kill me, get to it," he urged. Dozier's death wish thrust Nevada into a new type of legal battle in the debate over the death penalty. It forced the state to obtain a new lethal cocktail because the drugs Nevada had previously relied upon became increasingly difficult to obtain, which is how it arrived at an innovative combination that consisted of midazolam, cisatracurium and, for the first time, fentanyl. But in July, Alvogen, a New Jersey-based pharmaceutical company, thwarted Dozier's execution after filing an emergency lawsuit against the Nevada Department of Corrections. It argued officials had illegitimately obtained midazolam, a sedative that is one part of the three-drug cocktail Nevada planned to use to execute Dozier. The drug has been associated with botched executions in Arizona, Ohio, Oklahoma and Alabama. Clark County District Judge Elizabeth Gonzalez ruled in favor of the company and barred the use of the drug, putting the execution on hold indefinitely. In November 2017, Judge Jennifer Togliatti delayed Dozier's execution, after banning cisatracurium — a paralyzing drug — from another proposed deadly drug cocktail. Although the decision was later overturned by the Nevada Supreme Court, Togliatti agreed with an anesthesiologist that "the paralytic drug could hide signs the other two drugs — sedative diazepam and opioid painkiller fentanyl — were failing in the event of a botched execution," the Las Vegas Sun reported. Clark Patrick, Dozier's former attorney, told the Las Vegas Review-Journal he was surprised to learn Dozier had apparently taken his own life. Patrick's wife had recently made plans to visit Dozier on Jan. 14. "He said he was looking forward to our visit," Patrick told the newspaper. Death Penalty Information Center Executive Director Robert Dunham told NPR it is unclear what happens next in the legal disputes on using drugs for executions. "One of the issues that makes this complicated is that the previous Attorney General's office had not yet decided whether they were going to appeal" the ban on midazolam, Dunham said. Republican Attorney General Adam Laxalt did not run for re-election and, on Monday, was replaced by Democrat Aaron Ford. Ford opposes the death penalty. His office did not respond to NPR's questions regarding the future of the litigation. 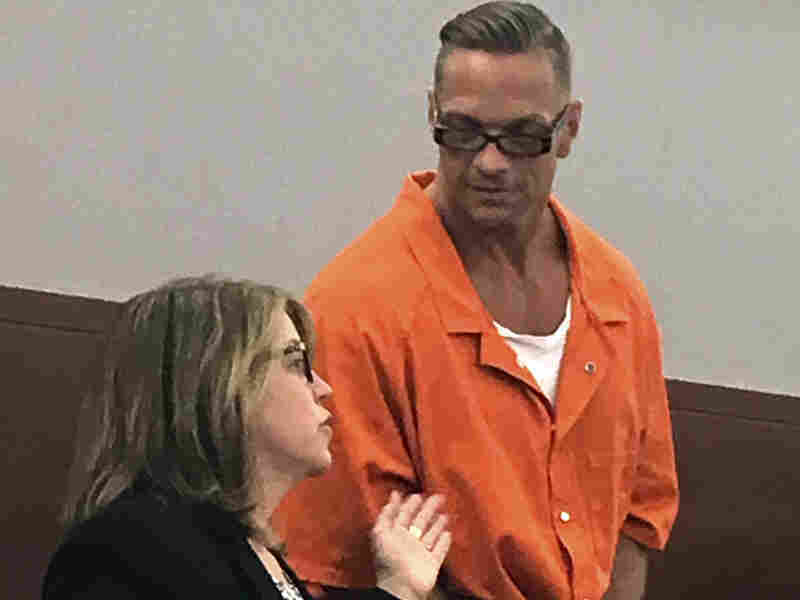 "The other possibility is that Nevada could move to dismiss the appeal by saying that it's moot because Scott Dozier has died and they don't intend to use the drugs to execute anybody else," Dunham added. Yet another scenario, according to Dunham, is that one or all of the drugs in the lethal cocktail, obtained more than a year ago, could have expired. "And that means that if there's ever another execution, the state will have to start the process of finding new drugs all over again," Dunham said.